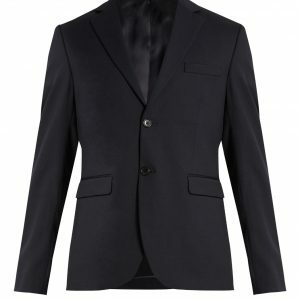 The regular fit suit is a stylish alternative to traditional plain color tailoring. 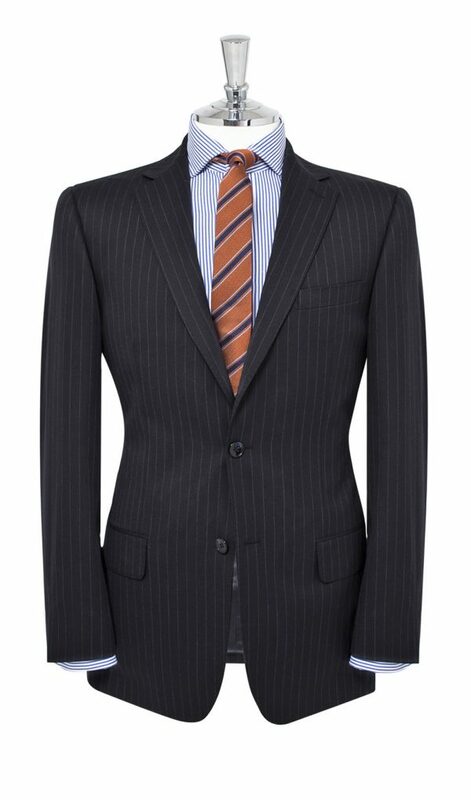 Crafted from pure wool, it has a fine, soft quality to the touch and comes in a rich navy with tonal pinstripe design. 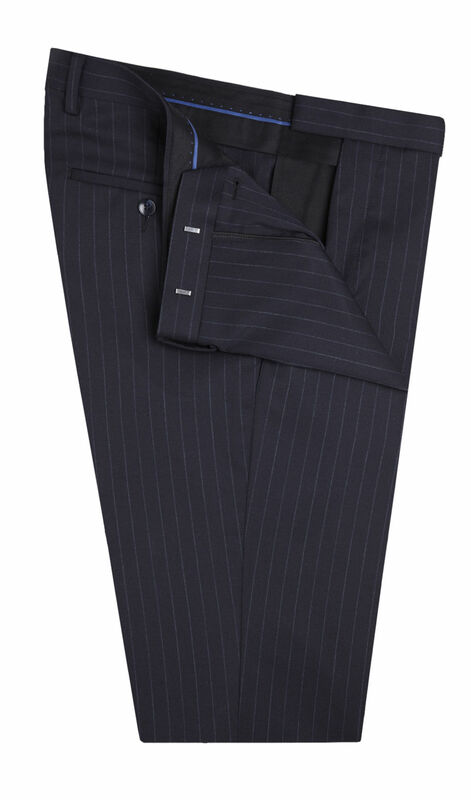 Expertly tailored in our regular fit, it offers greater comfort and ease of movement than slimmer styles. Wear with plain colors to offset the suit’s stripe design or double down on pattern for more of a statement effect.